I received the snow flake charms and was pleasantly surprised at the quality for the price. When you have a chart topping single, you're the boss. Who and what gets into your dressing room is up to you. (1 large bowl of M&Ms- Green only!) So when fans line up outside to personally thank the artist, that's usually where they stay outside. But she was different. She stood out. How could she not? Her jewelry popped and flashed just as bright as the cameras with every snap. To catch the eye of a star known for his privacy, this was definitely a big deal. As the star's wardrobe designer, I got to sit back and watch the sparks fly. His eyes followed every movement of her necklace like a snake following his charmer. I know exactly what to do, excuse myself and call my designer friends at Stauer. 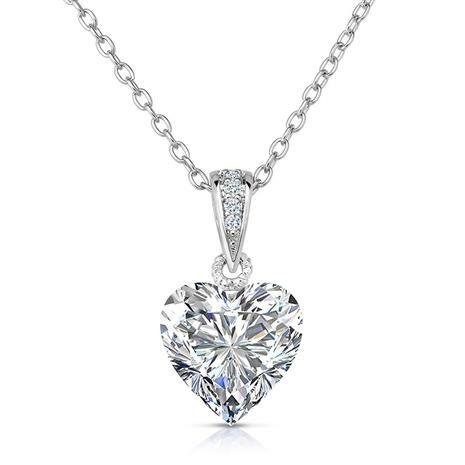 The Rock of Love DiamondAura® White Heart Pendant is a massive 10.5 mm and at almost 5 ½ carats, it has a way of conquering all those who were it and those who are mesmerized by its stunning appearance. The heart shaped, DiamondAura pendant's brilliant cut maximizes the fire and radiance of the stone so that the light disperses into an exquisite prism of colors. 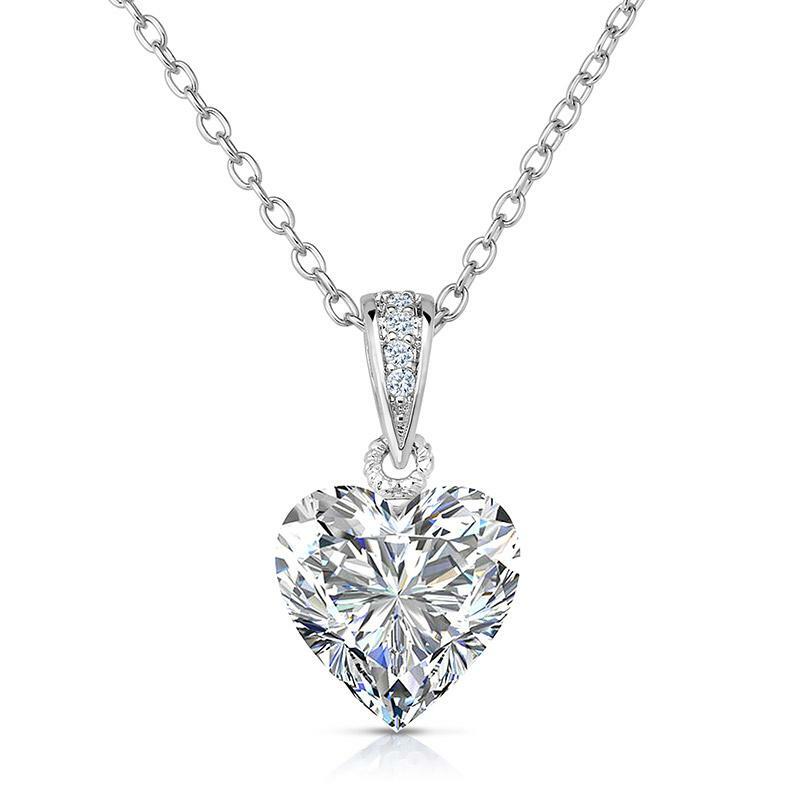 With the Rock of Love DiamondAura Heart Pendant showcased in a .925 gold-finished sterling silver setting, this is your chance to standout and be the boss of love.